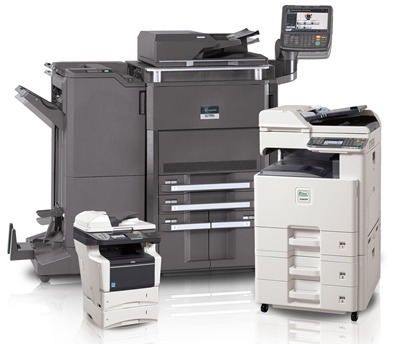 Our wide variety of copiers and printers available for sale have all the brands you rely on and expect to see when you’re looking for new equipment. These technologically advanced machines are offered at affordable prices even with new features. A large part of being competitive in the Atlanta printer sales market is helping simplify the user experience. We include user-friendly printing software with the devices that we sell to complete the package. We are a licensed provider to sell multiple brands of printers and also offer maintenance plans to back up what we sale. We trust in the products that we sell, and if you experience difficulties and problems, our technicians have training and information to fix the issue. We put our faith and trust into the printers and copiers we offer for sale, but if you do have a problem, we provide service to fix the electrical and mechanical concerns. We provide the option of a restoration or maintenance plan, or both if it suits your needs, whenever you purchase one of the printers and copiers we have for sale. The packages and services include on-call services to your job-site and repairs or replacements for malfunctioning units, which ensures that you are never left without this vital part of your office setup. Our technicians can fix your printer or copier at our repair department or right at your job site. We have competitive prices for parts and labor that make it more affordable to service your equipment than it would be to replace it. We calculate the prices of parts and labor separately. Contact us at 800-537-0669 or solutions@reach-technologies.com today to start exploring our wide variety of service plans to ensure your copier and printer remain in operational condition.